You may receive updates from Labor Wire, the sponsor of this form. We’ve launched a new daily newsletter called The Labor Wire. It’s packed with important labor news, ways to take action and more. 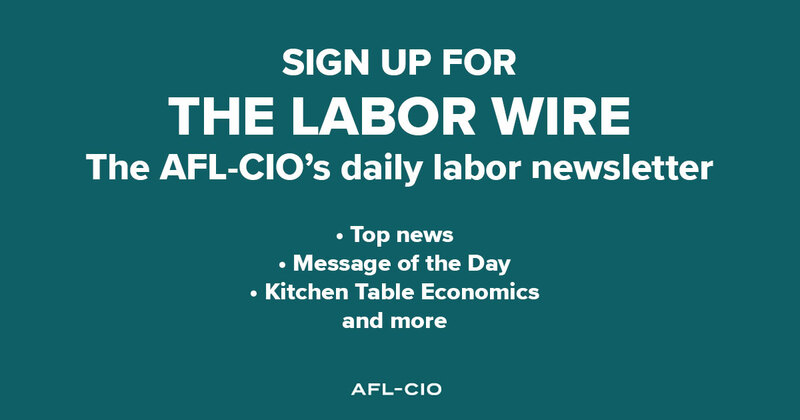 Sign up now to start receiving The Labor Wire.